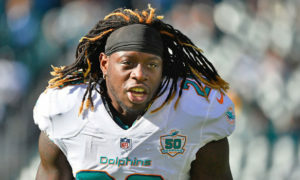 The Shark’s 2010 Fantasy Football Awards – The Sharkys! Let’s take this time to celebrate all that was fantasy football this season. For me personally I have 3 playoff matches in 5 leagues. My overall record is 41-27. Not too bad for a non-magazine published expert huh? OK, with no more delay, The Sharky’s! Arian Foster, Running Back, Houston Texans: 1230 yards rushing, 13 TDs, 50 rec., 477 receiving yards, 2 TDs. Some season for a guy who was a practice squad player last year. After the Texans soured on Steve Slaton, and rookie Ben Tate went down, the Texans saw themselves with no other choice to start the season. What they ended up with was the top rusher in the league, currently tops in TDs and among the tops in catches for a RB. He is one of only 2 men (Peyton Hillis) to score in the top 25 that are not QBs. We don’t know what the Texans will do next year, but if you were smart and pulled the trigger here, you did very well, and should be commended on the late draft steal. For the second straight year, Rodgers brings home a Sharky. His numbers are pure awesome, and he has been the most reliable fantasy player this year. Any team featuring Rodgers is a playoff team or at least a winning record team in all of my leagues. He had some guys close to him this year, but his all around game makes him the tops. Clearly he is the top RB in the league. The Texans have had luck with backs, as you remember 2 years ago Steve Slaton was a late season monster, and now Foster. If Kubiak gets canned, his system of RB quality may go too, so enjoy this while you can. With the Falcons being one of the best teams in the league this year, it is no surprised that they are led by White. Every week you can count on “Rowdy Roddy” to put up big points and make clutch plays. Each year QB Matt Ryan gets better, as will White, who next year may very well sneak into the first-round in many leagues. Another repeat winner, there are very few defenses that bring it like the Steelers. This fast, ball hawking defense brought in the most points and are among the best in sacks, and turnovers again. They are the backbone of one of the NFL’s top teams. Quietly, Akers had a very big year. Yes some kickers have more from 50+, but none more overall points as Akers has. A few years back, it looked like he had lost confidence, but those days seem to be behind him, for now anyway. Peyton Hillis, Running Back, Cleveland Browns: 962 rush yards, 11 TDs, 53 rec. 436 yards, 2 TDs. Everyone who drafted Hillis this season, raise your hands? Exactly, no hands. The guy Denver traded to acquire Brady Quinn ( who may never play a down for them) was easily the biggest surprise free agent this season. He was so good that the Browns felt at ease to trade away last season’s late run hero Jerome Harrison. 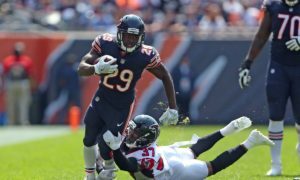 Hillis has been a 1,000 yard rusher in the past, so it is not a total surprise, but what is, is the team he is doing it with and the ease it seems to come with. He should be into the draft next year, no doubt. Randy Moss, Wide Receiver, Tennessee Titans: 27 rec., 375 yards, 5 TDs. The hype coming in was huge. Moss was in a contract year. The Patriots, then the Vikings, then the Titans were all supposed to benefit from the new, hungry Moss. What we all got instead was a guy averaging 2 catchers per game, and has only 4 in his last 5 games. Moss was a first or second round pick in many leagues, and he may be one of the biggest bust in a single season in fantasy history. I feel for anyone who drafted him. Roy Williams, Wide Receiver, Dallas Cowboys: Come mid-season, we saw Williams grab 4 TDs in 3 games. How many of you ran out to acquire him? Come on, don’t be shy now. Since that big explosion, Williams has sat in the shadows of rookie Dez Bryant and has just 11 catches for 198 yards and 0 TDs in his last 4 games. It looked as if he would be making a comeback, and then, boom, the same ol Roy. Yes with Bryant’s injury he may come up, but it’s a little too late, isn’t it? A Quarterback comes as a big surprise to many, but Bradford eased into his role and is in the middle of the pack in his stats. Bradford is a huge reason why the rams are in first in the NFC West, and if this is any indication of what his career will be like, we will be mentioning his name in fantasy articles for years to come. So I hope you all enjoyed the awards, and enjoyed this season. See you all next season, and best of luck!